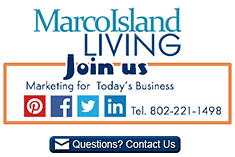 Subscribe free – to the MarcoIslandLiving.com travel newsletter. You’ll stay up to date on the very latest happenings. Read travel reviews, view real estate, photographs and discover the best lodging, dining and entertainment venues. Marco Island Living will not share your email and values your privacy. Share your Marco Island – Naples FL reviews or ask us about visiting Marco Island Florida. To feature your business in Marco Island Living, contact us.